Sure, you could dress like the standard Joker, Wicked Witch, or any one of the bevy of psychotic serial killers from horror films this Halloween. Or, you could take the handsome, dashing, and ridiculously charming villain route and dress up in a Tom Hiddleston costume for Halloween. Choose from Column A and you'll be stuck with a lot of face paint and a costume you'll probably never wear again. Choose from Column B and you get to be the most suave contender in the costume contest. It's your choice, but really, if you want to play the bad guy this year, why not take the dapper and excessively British approach? 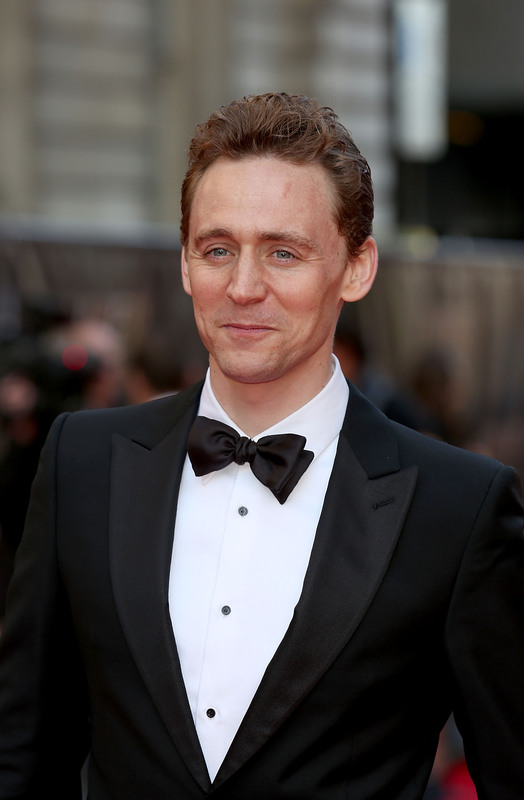 Have no fear, the "How Make a Tom Hiddleston Costume" guide is here! Tom Hiddleston has a knack for playing the bad guy, as was highlighted in his cheeky Jaguar Superbowl spot. He explained why Brits always seem to play the villains, "We're more focused. More precise... We're obsessed by POWER." Furthermore, "A stiff upper lip is key." Take his advice to heart when celebrating Hiddlesween. You can't just dress the part, you have to act the part. Trust me, spend one night in Hiddleston's (perfectly accessorized) shoes and you'll feel how it very much indeed is good to be bad. Here's how to get just the right look for celebrating Hallowiddelston. Enjoy. The man has given you the bloody book. Read it! This jacket and slim-pant combo sells online at H&M for just $75. Post Hiddlesween, you've got the perfect combo for any professional setting. Add a crisp white button-up which never goes out of style for another $20, and you've got the suit basics covered. Not that Hiddleston would necessarily wear a union jack bow tie per say, but it's still Halloween and you've got to have a little silly fun with it. This pre-tied bow tie from Etsy adds just the right wink to your ensemble. There are two routes you can go with footwear. If you've got a pair of killer knee-highs, like this pair with double zips, I say whip 'em out. Otherwise, definitely aim for a classic. You just can go wrong with a pair of Oxfords. The vintage-inspired 'dos in this tutorial will add the pomp and swagger needed for the full look. Drinking out of a fancy tea cup is crucial to pulling off a successful Hallowiddelston. You've got to be committed to this! It's hard work, I know. Just keeeeeep looking.